All work and no play is no fun, that’s why we launched the social committee to help make Cambridge Intelligence an even more enjoyable place to work. Every month we organize social events and throughout the year we hold little celebrations – mostly involving food. From celebrating National Croissant Day to having an easter egg hunt, we’ll find any reason to sprinkle a little fun at our offices. 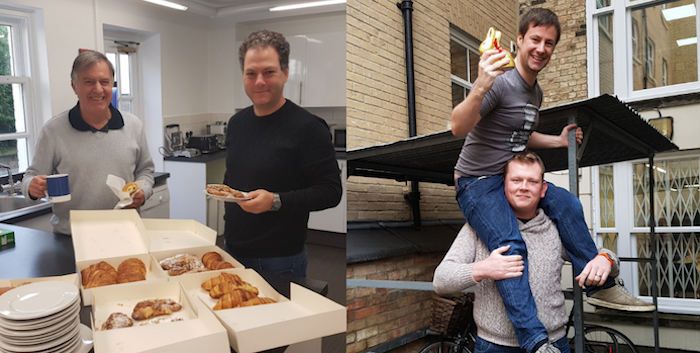 Left: Giussepe and Sam enjoying some croissants, right: Adrian getting a lift from Jamie to find the golden bunny during our easter egg hunt. We like to think we’re a pretty smart bunch, so earlier this year we thought we’d give some escape rooms a try. 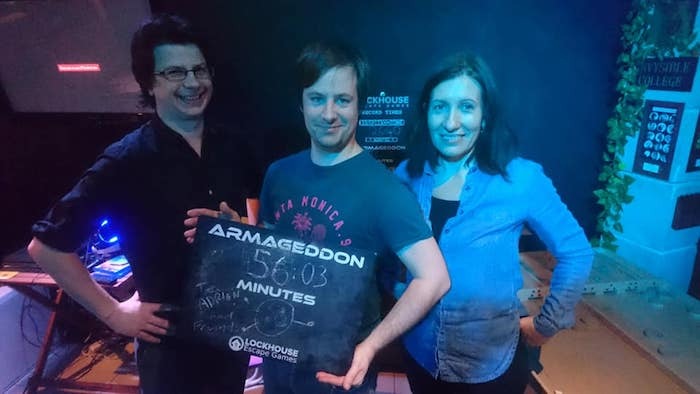 We took a walk down to Lockhouse Escape Games – one of the many perks of being based in central Cambridge is that you can walk or cycle almost anywhere – split into three teams and attempted to solve a series of puzzles to escape an Egyptian tomb, a Cold War-era safe house, and prevent armageddon. We didn’t escape the rooms in record time and we might have needed a few hints here and there, so let’s just say we won’t be changing professions any time soon but fun was had. From escaping mummies and attempting to save the world, our next social took us to the clouds. Catherine, ready for take off! We’re big believers in pushing ourselves to new heights. 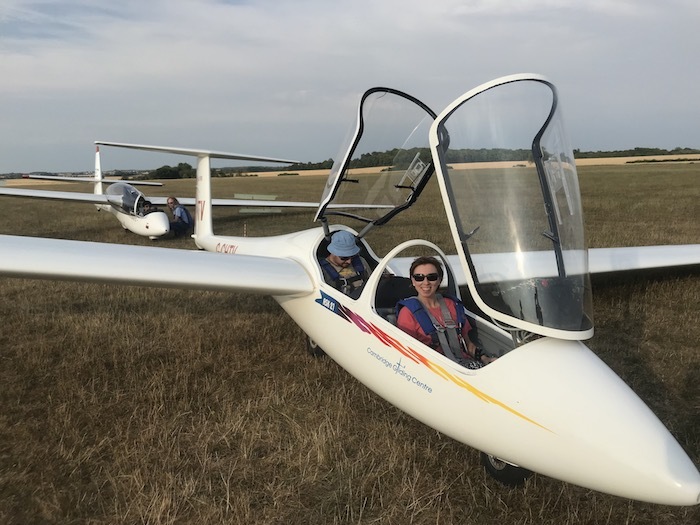 At our gliding social, we took this literally. 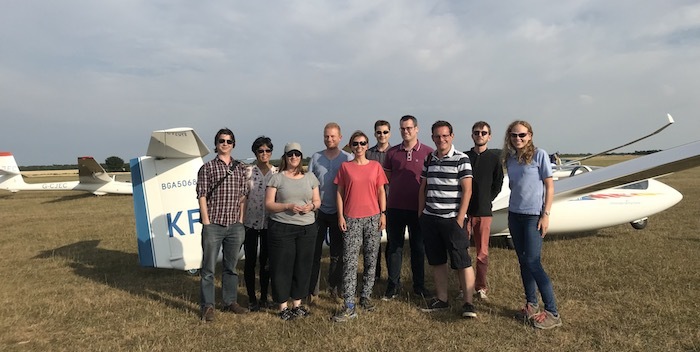 We ventured to the Cambridge Gliding Centre one fine evening and set for the skies. Once we had our feet back firmly on the ground, we enjoyed a barbecue and took in the scenery. Stay tuned to see what we get up to next!